Of all places in China, Xinglong may have the highest number of coffee shops per capita. "We have more than 100 cafes here," said Zhang Liukun, who returned to China from Indonesia in 1960 and later worked as a teacher at Xinglong High School on Hainan Island. The earliest settlers brought with them ground coffee, some even coffee beans that could last a good part of a year. When that supply dried up, a shop owned by the farm started to sell a local brew. The early 1960s was a time of food shortage. The shop did not offer cakes or other foods, and there was not even sugar to go with the coffee. That little cafe started a trend, and soon returnees from other countries joined those from Indonesia in sipping this special caffeinated beverage. The shop was crowded from morning until night. For a while, bean supplies ran out and there were many listless souls who rode their bikes for miles in search of a replacement. Starting from 1963, coffee bean production grew steadily and the worst time of scarcity was over. There were even cakes for sale. A cup of coffee cost 10 Chinese cents and many joined the so-called 10-cent operation. Xinglong people enjoy snacks during coffee breaks, ordering two plates of cakes to go with one cup. Many also see it as a form of socializing, while die-hards will even take a can of coffee with them when leaving Xinglong, assuming other parts of China may not have the flavor they want, or in an early days, nothing at all. The area’s 66 hectares of coffee trees can yield 13.2 tons of beans a year. 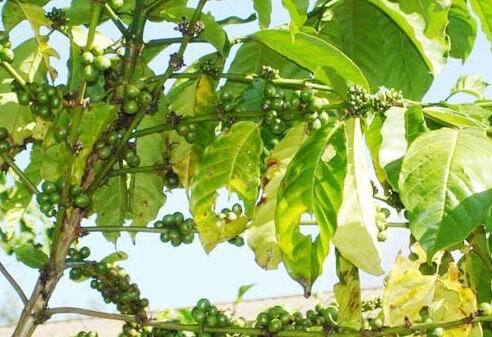 However, the acreage has shrunk by two-thirds because coffee prices on the international market have been falling. Now, they have settled on a medium-sized bean that balances both yield and flavor. Premier Zhou Enlai was a big fan of Xinglong coffee. 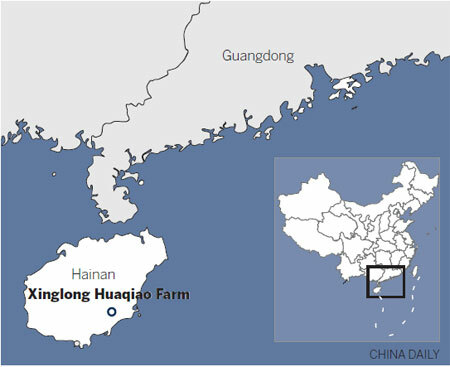 After inspecting the farm and trying the local potion, he famously said: "I’ve tried coffee from many countries, and Xinglong’s is world-class."